uCOLOR 4326520921 - Protective tough case:dual-layer durable protectiona slim designer backplate and clear matte TPU insole for extra phone protection and preserve your phones beauty at the same. Full wrap around the case:the pattern goes all over the case including sides and back. Interchangeable case:Outer piece can be changed into different design. Precise cutouts : perfect fit your iPhone 8 / 7 with easy access to all buttons and ports. Two parts tightly fit together make the case durable, protect every corner of iPhone. Full wrap-around design, the pattern goes all over the case including sides and back. So please be aware that when you receive your case, there may be very slight difference in color Package: 1 x iPhone Case. 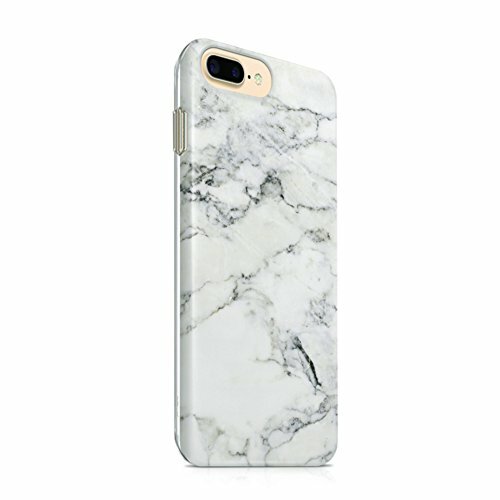 uCOLOR Case Compatible for iPhone 7 8 4.7" White Marble Ultra Dual Layer Protective Case Compatible for iPhone 7/8 - Not include the phone 1 x iphone tempered glass Screen Protector Unique design: all the pattern are designed and produced by uCOLOR Studio. Original, stylish and professional designed artwork. Fits for all version of iphone 7/8 -original, stylish and professional designed artwork -made one at a time using our latest full wrap-around heat sublimation technology -Print directly and permanently on the case with vivid colours and extra fine details -100% scratch proof and water proof -Easy to snap in and access to all ports, unique, control and sensors -All our cases are made at our studio with healthy working conditions and not sweat shops -We use environment friendly recycled plastic and inks. New dual layer 3d wrap iphone tough case comes with a full case, composed of two parts, the outer piece and the inner soft clear silicon case. Beware :only place Order From - uCOLOR. uCOLOR iPhone 8 Plus/iPhone 7 Plus - Fits for all version of iphone 7 plus/iphone 8 plus -original, stylish and professional designed artwork -made one at a time using our latest full wrap-around heat sublimation technology -Print directly and permanently on the case with vivid colours and extra fine details -100% scratch proof and water proof -Easy to snap in and access to all ports, unique, control and sensors -All our cases are made at our studio with healthy working conditions and not sweat shops -We use environment friendly recycled plastic and inks.
. Protective tough case:dual-layer durable protectiona slim designer backplate and clear matte TPU insole for extra phone protection and preserve your phones beauty at the same. Full wrap around the case:the pattern goes all over the case including sides and back. Interchangeable case:Outer piece can be changed into different design. uCOLOR case Compatible for iPhone 7 Plus Case/iPhone 8 Plus Case5.5" uCOLOR White Marble Ultra Slim Hard Shell Soft TPU Dual Layer Protective Case Compatible for iPhone 7 Plus/8 Plus - Precise cutouts : perfect fit your iPhone 8 Plus/7 Plus with easy access to all buttons and ports. New dual layer 3d wrap iphone tough case comes with a full case, composed of two parts, the outer piece and the inner soft clear silicon case. Two parts tightly fit together make the case durable, protect every corner of iPhone. Buyers already complain they get knock off, it's just waste of money. So please be aware that when you receive your case, there may be very slight difference in color Package: 1 x iPhone Case. Not include the phone 1 x iphone tempered glass Screen Protector Unique design: all the pattern are designed and produced by Ucolor Studio. TechMatte 2pkGL.iPH-6 - This is to prevent the protector from overlaying these curved edges which can lead to unwanted bubbling and peeling up around the edges. Specifically designed for iPhone 8, 6S, 7, 6, New in Shrink Wrap. Ultra-clear high definition with 99. 9% transparency to allow an optimal, natural viewing experience. Please note: due to the curved-edge design of the iPhone 7, 6 and 6S, our screen protector is made to be a little smaller than the actual screen of your device. Restrictions may apply. Introducing amfilm tempered GLASS Screen Protectors for your iPhone 7 6 and 6S. Protective tough case:dual-layer durable protectiona slim designer backplate and clear matte TPU insole for extra phone protection and preserve your phones beauty at the same. Full wrap around the case:the pattern goes all over the case including sides and back. iPhone 8, 7, 6S, 6 Screen Protector Glass, amFilm Tempered Glass Screen Protector for Apple iPhone 8, 7, iPhone 6S, iPhone 6 4.7" inch 2017 2016, 2015 2-Pack - Interchangeable case:Outer piece can be changed into different design. Precise cutouts : perfect fit your iPhone 8 Plus/7 Plus with easy access to all buttons and ports. Highly durable and scratch resistant/chip resistant, bumps, this strong 9H hardness level protector will guarantee your cell phone the best protection against drops, scratches and normal wear and tear. Unique design: all the pattern are designed and produced by Ucolor Studio. Original, stylish and professional designed artwork. PopSockets Wireless 707194 - Packaging includes an adhesive disc for customers applying directly to iPhone 8, X and other glass-backed phones. Advanced reusable adhesive - repositionable, 8+, waterproof, washable adhesive sticks to most devices and cases will not stick to some silicone, or highly textured cases. Available in a broad range of styles and materials. Allows for hands-free use with the PopSockets mount. Functions as a convenient stand so you can watch videos on the fly. Specifically designed for iPhone 8, 6, 6S, 7, New in Shrink Wrap. Ultra-clear high definition with 99. 9% transparency to allow an optimal, natural viewing experience. Popsockets: expanding stand and grip for smartphones and Tablets - White Marble OPEN BOX Unique design: all the pattern are designed and produced by Ucolor Studio. PopSockets: Collapsible Grip & Stand for Phones and Tablets - White Marble - Original, stylish and professional designed artwork. Ultra thin-03mm thickness is reliable and resilient, and promises full compatibility with touchscreen sensitivity. Highly durable, and scratch resistant - surface hardness 9H and topped with oleophobic coating to reduce fingerprints. Includes: 2x glass screen protector, Easy Installation Use Guide, Wet/Dry Wipes, squeeze Card, Dust Removal Stickers. JETech J0980A - Ultra thin-03mm thickness is reliable and resilient, and promises full compatibility with touchscreen sensitivity. Highly durable, and scratch resistant - surface hardness 9H and topped with oleophobic coating to reduce fingerprints. Includes: 2x glass screen protector, Easy Installation Use Guide, squeeze Card, Wet/Dry Wipes, Dust Removal Stickers. Offers a secure grip so you can text with one hand, snap better photos, and stop phone drops. Protective tough case:dual-layer durable protectiona slim designer backplate and clear matte TPU insole for extra phone protection and preserve your phones beauty at the same. Full wrap around the case:the pattern goes all over the case including sides and back. JETech Screen Protector for Apple iPhone 8 and iPhone 7, 4.7-Inch, Tempered Glass Film, 2-Pack - Interchangeable case:Outer piece can be changed into different design. Precise cutouts : perfect fit your iPhone 8 Plus/7 Plus with easy access to all buttons and ports. Dust-free, one-push super easy installation, fingerprint-free, bubble free. Retail package includes: 2-pack tempered glass screen protector, cleaning cloth, guide stick, dust removal stick, instructions, life-time warranty card. Specifically designed to fit iphone 8, iphone 7 4. 7" models. Extremely high hardness: resists scratches up to 9H harder than a knife. PopSockets 101000 - Available in a broad range of styles and materials. Highly durable, and scratch resistant - surface hardness 9H and topped with oleophobic coating to reduce fingerprints. Includes: 2x glass screen protector, squeeze Card, Wet/Dry Wipes, Easy Installation Use Guide, Dust Removal Stickers. Offers a secure grip so you can text with one hand, snap better photos, and stop phone drops. Specifically designed to fit iphone 8, iphone 7 4. 7" models. Available in a broad range of styles and materials. Popsockets: expanding stand and grip for Smartphones and Tablets - Black Unique design: all the pattern are designed and produced by Ucolor Studio. Original, stylish and professional designed artwork. PopSockets: Collapsible Grip & Stand for Phones and Tablets - Black - Allows for hands-free use with the PopSockets mount. Note: due to the round edge of iPhone, the screen protector will NOT cover the full screen, but only the flat area. Made with high quality 033mm thick premium tempered glass with rounded edges. Extremely high hardness: resists scratches up to 9H harder than a knife. Advanced reusable adhesive - repositionable, 8+, waterproof, washable adhesive sticks to most devices and cases will not stick to some silicone, or highly textured cases. AILUN FBA_4326558661 - High-response and high-transparency. Buying from siania is the effective way to avoid counterfeit Ailun products and to get guaranteed after-sale service. Ailun appoints siania as an exclusive distributor on Amazon, all sales of Ailun printed products shall only from Siania. Unique design: all the pattern are designed and produced by Ucolor Studio. Original, stylish and professional designed artwork. Note: due to the round edge of iPhone, the screen protector will NOT cover the full screen, but only the flat area. Made with high quality 033mm thick premium tempered glass with rounded edges. Advanced reusable adhesive - repositionable, washable adhesive sticks to most devices and cases will not stick to some silicone, 8+, waterproof, or highly textured cases. Ailun Screen Protector Compatible iPhone 8 iPhone 7,4.7inch3 Pack,2.5D Edge Tempered Glass Compatible iPhone 7/8,Case Friendly,Siania Retail Package - Functions as a convenient stand so you can watch videos on the fly. Packaging includes an adhesive disc for customers applying directly to iPhone 8, X and other glass-backed phones. Works for iphone 7/8 4. 7 inch screen only, scrapes, not for Plus. 033mm tempered glass screen protector. Dust-free, one-push super easy installation, fingerprint-free, bubble free. PopSockets Wireless 707080 - Easiest installation - removing dust and aligning it properly before actual installation, no worrying about bubbles, enjoy your screen as if it wasn't there. Offers a secure grip so you can text with one hand, snap better photos, and stop phone drops. It lets you take selfies like a pro and share with your circle of fans, friends or embarrassing family members. When you’re done, it collapses flat like your bangs in a rainstorm. Available in a broad range of styles and materials. Available in a broad range of styles and materials. Dust-free, fingerprint-free, one-push super easy installation, bubble free. Retail package includes: 2-pack tempered glass screen protector, dust removal stick, instructions, guide stick, cleaning cloth, life-time warranty card. PopSockets: Collapsible Grip & Stand for Phones and Tablets - White - Offers a secure grip so you can text with one hand, snap better photos, and stop phone drops. Available in a broad range of styles and materials. Allows for hands-free use with the PopSockets mount. Highly durable, and scratch resistant - surface hardness 9H and topped with oleophobic coating to reduce fingerprints. Includes: 2x glass screen protector, Wet/Dry Wipes, Easy Installation Use Guide, squeeze Card, Dust Removal Stickers. Offers a secure grip so you can text with one hand, snap better photos, and stop phone drops. PopSockets Wireless 101122 - Packaging includes an adhesive disc for customers applying directly to iPhone 8, X and other glass-backed phones. Works for iphone 7/8 4. 7 inch screen only, scrapes, not for Plus. Allows for hands-free use with the PopSockets mount. Easiest installation - removing dust and aligning it properly before actual installation, no worrying about bubbles, enjoy your screen as if it wasn't there. Offers a secure grip so you can text with one hand, snap better photos, and stop phone drops. Allows for hands-free use with the PopSockets mount. Available in a broad range of styles and materials. Functions as a convenient stand so you can watch videos on the fly. Ultra thin-03mm thickness is reliable and resilient, and promises full compatibility with touchscreen sensitivity. Gold Aluminum - PopSockets: Collapsible Grip & Stand for Phones and Tablets - It lets you text things you may or may not later regret with the greatest of ease. Available in a broad range of styles and materials. Allows for hands-free use with the PopSockets mount. Specifically designed to fit iphone 8, iphone 7 4. 7" models. Advanced reusable adhesive - repositionable, washable adhesive sticks to most devices and cases will not stick to some silicone, 8+, waterproof, or highly textured cases. LINENSPA LS6MTXMB - Protective tough case:dual-layer durable protectiona slim designer backplate and clear matte TPU insole for extra phone protection and preserve your phones beauty at the same. Full wrap around the case:the pattern goes all over the case including sides and back. Interchangeable case:Outer piece can be changed into different design. Precise cutouts : perfect fit your iPhone 8 Plus/7 Plus with easy access to all buttons and ports. Highly durable, and scratch resistant - surface hardness 9H and topped with oleophobic coating to reduce fingerprints. Includes: 2x glass screen protector, Easy Installation Use Guide, squeeze Card, Wet/Dry Wipes, Dust Removal Stickers. Linenspa Heavy Duty 6 mil Mattress Bag for Moving, Storage and Disposal - Twin/Twin XL - Offers a secure grip so you can text with one hand, snap better photos, and stop phone drops. Packaging includes an adhesive disc for customers applying directly to iPhone 8, X and other glass-backed phones. Works for iphone 7/8 4. 7 inch screen only, scrapes, not for Plus. Available in a broad range of styles and materials.
. Twin/twin xl mattress bag measures 53. 5" x 107. Maxboost MB000061 - Easy installation with online tutorials saves trees! on how to correctly install your screen protector. Hd ultra-clear rounded glass for iPhone 7/8 4. 7 inch screen is 99. 99% touch-screen accurate. 99. 99% high-definition clear hydrophobic and oleophobic screen coating protects against sweat and oil residue from fingerprints. It is 100% brand new, no front camera cutout, exquisitely polished, precise laser cut tempered glass, 2.5d rounded edges. 12-month warranty online video installation instruction: go to youtube Tutorial by searching Keywords: Ailun iPhone 7 Screen Protector Installation Instruction. Additionally, the glass screen protector is backed by Maxboost's LIFETIME WARRANTY that ensures maximum protection and reliability for the life of your iPhone 7 and guarantees customer satisfaction. iPhone 8 7 Screen Protector, Maxboost 2-Pack Tempered Glass Screen Protectors for Apple iPhone 8, iPhone 7 / iPhone 6s 6 2017 2016 2015 Phone Worry-Free Install Compatible 3D Touch and Most Cases - Extra heavyweight 6 mil rip-resistant polyethylene bag protects mattress or box spring for moving, long-term storage or disposal. Functions as a convenient stand so you can watch videos on the fly. Available in a broad range of styles and materials. Leaving the curve edge open is case-friendly, and can also effective reduce white non-adhesive halo. Hd comprehensive protection - high clarity glass shields over Front Camera, ALS sensor and proximity sensors while creating ZERO interference to your Selfies, phone calls, and proximity sensing. Finger-print-less - coated with hydrophobic and oleophobic clear layer, the glass protects against sweat and oil residue from fingerprints and keep your phone screen pristine all day long.